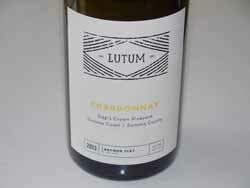 LUTUM is a partnership between winemaker Gavin Chanin and entrepreneur Bill Price focusing on singlevineyard Pinot Noir and Chardonnay from Sonoma and Santa Barbara County. I bring your attention to this young winery because the wines are very, very good. Gavin Chanin skipped each fall semester while studying at UCLA to train under winemakers Jim Clendenen and Bob Lindquist. 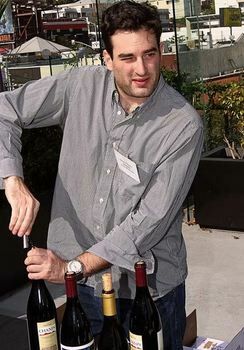 He quickly became acquainted with the top vineyards in the Central Coast and launched his own brand, Chanin Wine Company, in 2007, at the age of 23. An art major at UCLA, his paintings grace the labels of Chanin Wine Company wines. 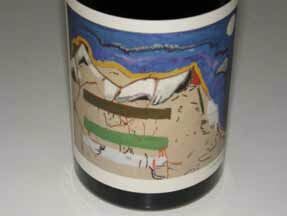 Chanin was recently featured in an article at www.grapecollective.com titled “Brilliant Chardonnays And Pinots - And the Winemaker Is 29.” Read this for more in depth coverage. Bill Price is proprietor of Classic Wines, LLC, which consists of Price Family Vineyards that includes ownership and management of Durell Vineyard, Gap’s Crown Vineyard and other premium vineyard properties throughout Sonoma County. In addition, Price has invested in numerous California wineries, including Three Sticks, Buccella, Gary Farrell, Head High and Kistler. The following 2013 releases are very impressive for their focused, balanced winemaking with an emphasis on nuance, subtlety and vineyard expression. Chanin said, “The 2013 vintage was ideal and we were blessed with some of the most physiologically ripe grapes we have ever seen.” I urge you to check them out. The wines are available online at www.lutumwines.com.